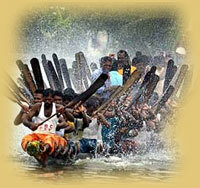 The place is also very famous for the boat race (Vallam Kali) which is happening on the Thiruvonam day. This is the only boat race which happens on this particular day in the whole Kerala. At.2.30 pm ,Pampa River Neerettupuram.